I used to put South Street Seaport into the same category as Times Square - avoid at all costs. However, I recently stumbled upon Front Street, a small side street just off the South Street Seaport, and found that it is home to a bunch of great local restaurants and cafes. 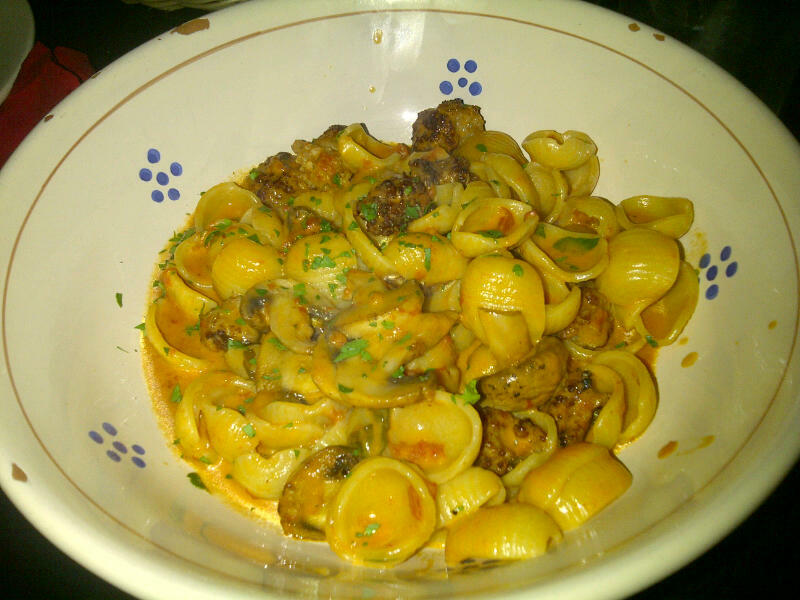 This particular night I was hungry for some pasta! 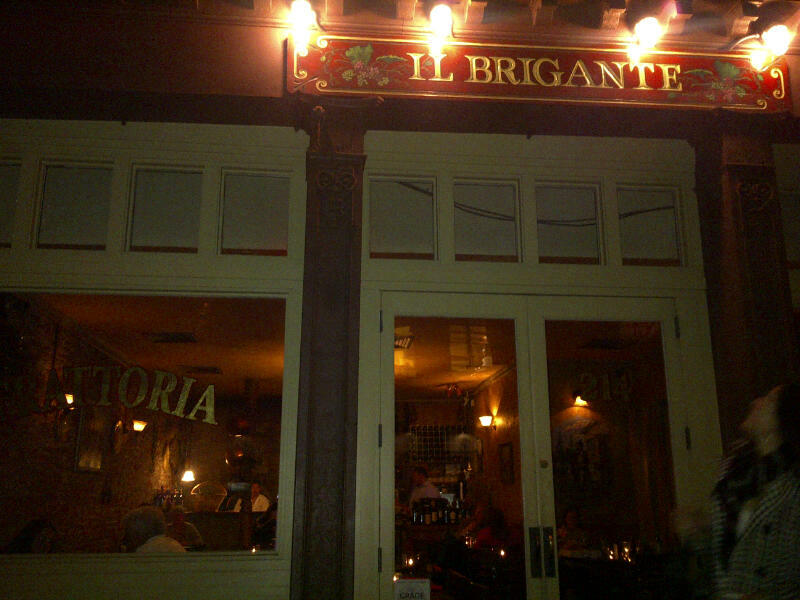 After browsing the Italian restaurants on the street, I ventured into Il Brigante for dinner. Il Brigante's storefront - so cute I love it! When you walk into this little gem, you are greeted with a cozy atmosphere filled with soft lighting, exposed brick walls, and a traditional open brick oven in the back. 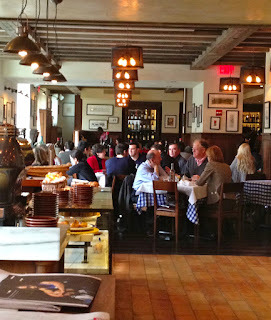 This little trattoria evokes a relaxed old world type feel. Inside of Il Brigante - just asks you to come in and take a load off! Pasta special of the night: Orrechiette with sausage and mushrooms in a pink sauce. This was my favorite dish of the night! 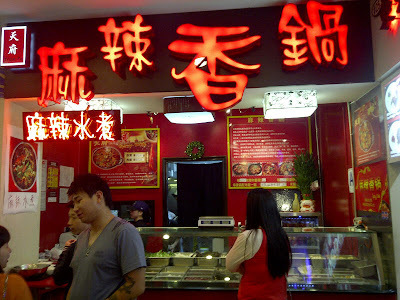 Flavor was unbelievable with fresh mushrooms and perfectly seasoned sausages. I wolfed it all down. No sharing this dish!! There's a new shopping center called New World Mall that opened in Flushing just last year. And its amazing. Located on Roosevelt Ave right next to the 7 train, New World Mall is comprised of a full Asian supermarket, two floors of shops, a gorgeous restaurant on the top floor, parking garage, and an awesome food court in the basement. Just like the ones you see in Taiwan!! I'm sure I'll be posting about my various trips to eat there, but in this post I'll be taking you through my experience at the Mala Xiang Guo station. Located in one of the the corners of the food court (when you come down the escalators, keep going straight and it'll be in the corner on your left at the end), This definitely offers a unique experience that I've never had in the city. In the simplest terms, Mala Xiang Guo is a spicy and fragrant stir-fry pot. Its almost like a dry hot pot with only one flavor choice - spicy fragrant. Not really getting what exactly this is? Easier for me to show you! 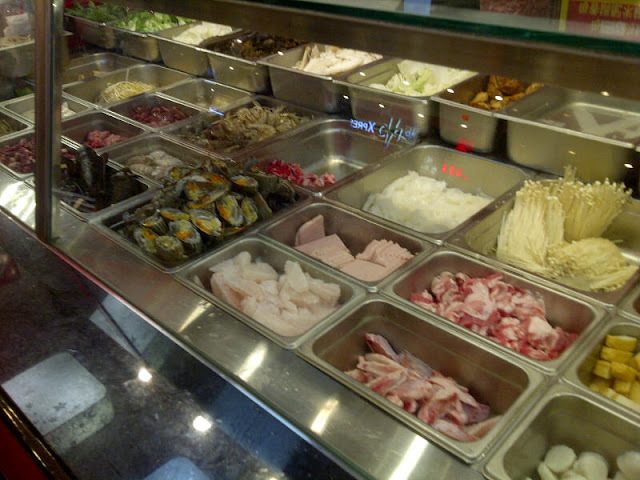 When you come up to the station, you'll notice a large variety of raw veggies. All your choices to include in your pot! Last week, a girlfriend and I decided to treat ourselves to a nice sit-down lunch. 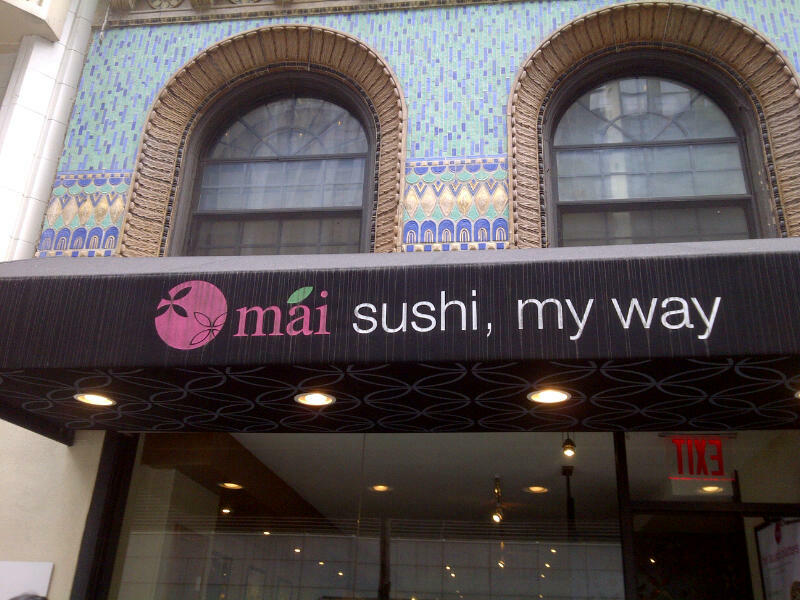 We picked Mai Sushi located on that street in Midtown East with all the Japanese Restaurants (41st between Madison and 5th). We had both been to the original restaurant when it was run under a different name, but have yet to give this new version a try! Similar to the old restaurant, the front half of Mai Sushi offers a cold case of ready-to-go items. Everything looked tasty and I was particularly attracted to the rice bowls (or anything with rice for that matter), but I usually prefer my hot food served hot (not cooked hot, then put in a cold case waiting for me to purchase chilled because the Health Department wills it so. poo). Only select items such as the tempura and gyoza were in the warm window. 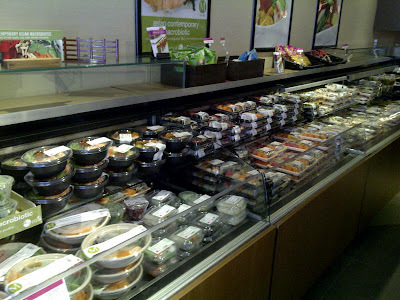 Sushi looked fresh though! 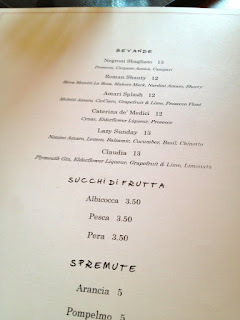 Oh Minetta Tavern...why do you make it so hard for us to meet? It's a good thing I enjoy eating dinner early, especially since a friend of mine managed to snag a 5:30pm dinner reservation. 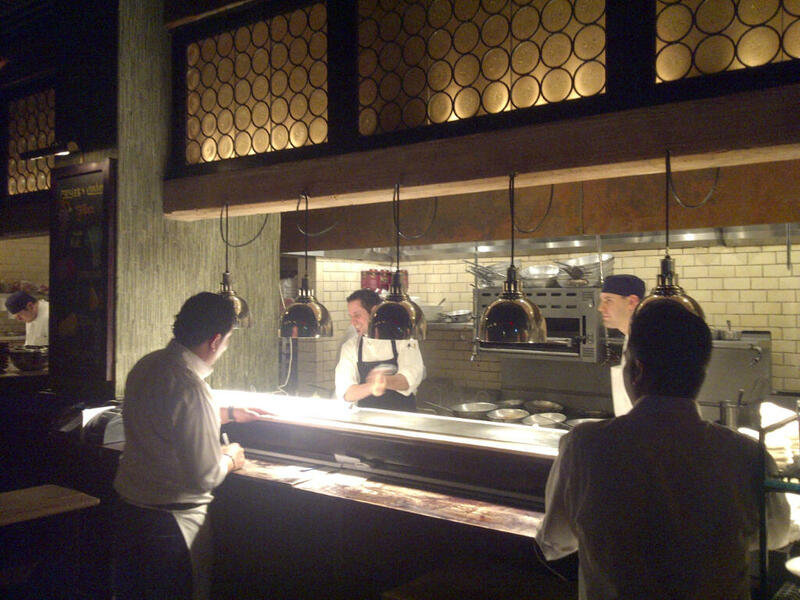 And so, at 5:30pm with the sun still bright and shining, I entered into the hush hush world of Minetta Tavern. 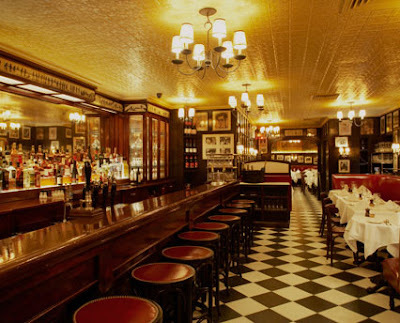 Surprisingly, its not what you would expect inside Minetta Tavern. From the outside, all the windows are covered with heavy curtains so you can't look in. When you step in, it's a retro yet classy old-school feel with its checkered floors, red leather booths, and wood bar (which, interestingly, is the original bar from when the restaurant first opened in 1937 and refinished by Keith McNally when he took over). 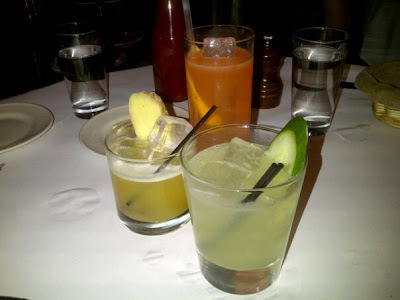 Since it was so early, I'm pretty sure it was still officially cocktail hour so who could resist order a cocktail?! There were a couple unique cocktails on the menu so I was excited to try. And I was pleasantly surprised at how great they were! 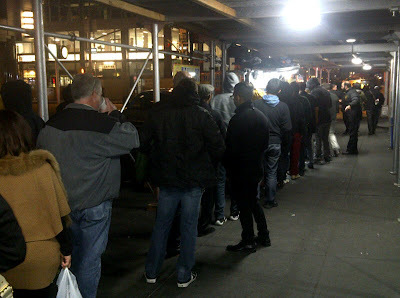 The Chicken and Rice cart by Rockefeller Center is pretty much a NYC institution. This is not the same as all the other street meat carts you see all over NYC. 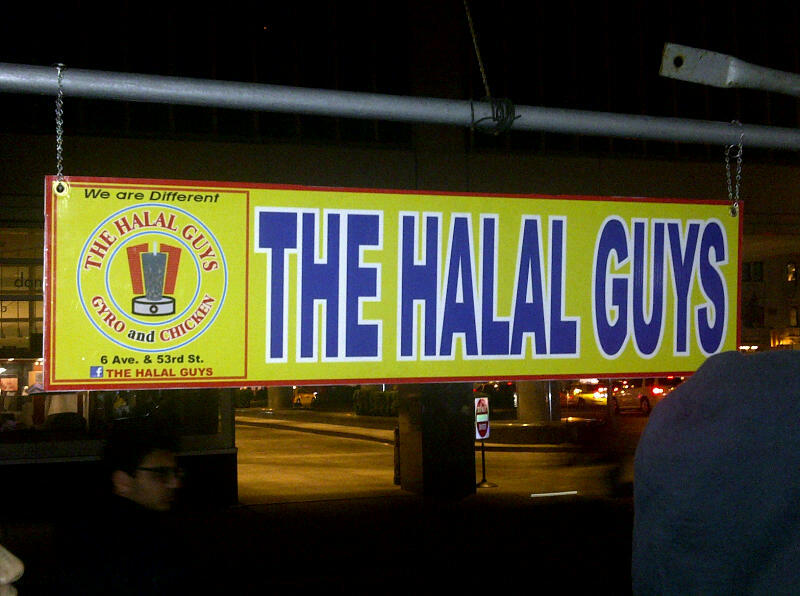 This cart is run by the Halal Guys. Yes that's right - they even have a website! 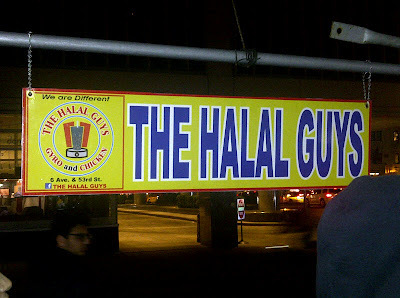 More commonly known as Chicken and Rice, these guys are located on the corner of 53rd street and 6th ave 24 hours a day, 7 days a week. Which corner specifically you ask? Just look for the corner with the long line (and there is always a line!). This line moves very fast though, so don't be intimidated! 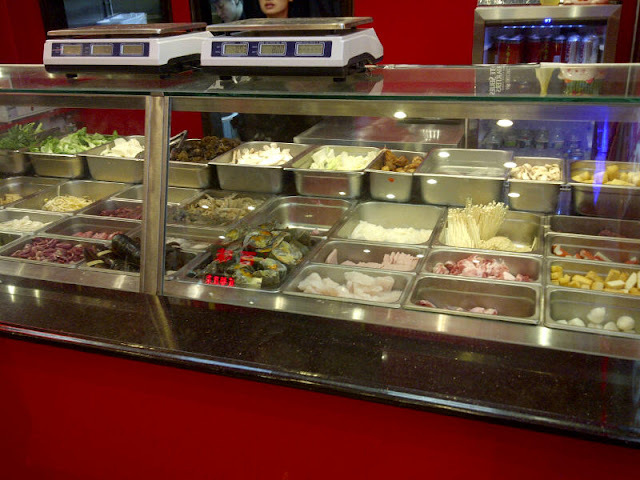 And while you're waiting on line, you can think about what you want to order. Well, to be honest, I'm not really sure what they offer as I've never seen a menu but I'm pretty sure your choices are either chicken or lamb (or mix of both if you can't choose! ), and either in a platter (with rice, salad, and pita) or a sandwich. 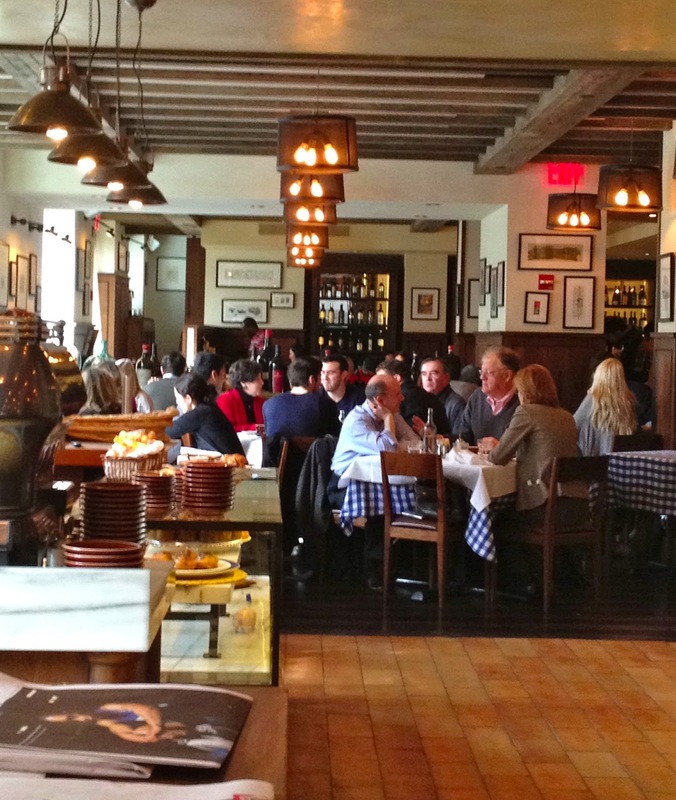 If you are the type of person who thinks it is never too early for pasta, you'll love brunch at Maialino! 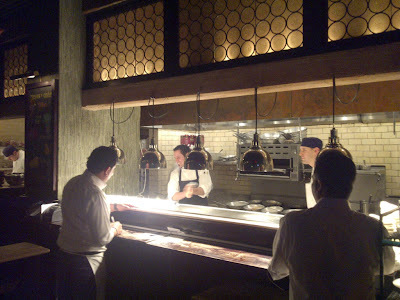 I'm still itching to check out the dinner menu, but I did go for the brunch scene and was pleasantly surprised. Brunch at Maialino has a very relaxed feel; there were tables with people reading the paper over fresh-baked bread and coffee, and groups of friends lingering the afternoon away over wine and good food. It didn't seem like the restaurant was rushing people out the door, which is very appreciated when you just want to be lazy and catch up with friends on the weekend. 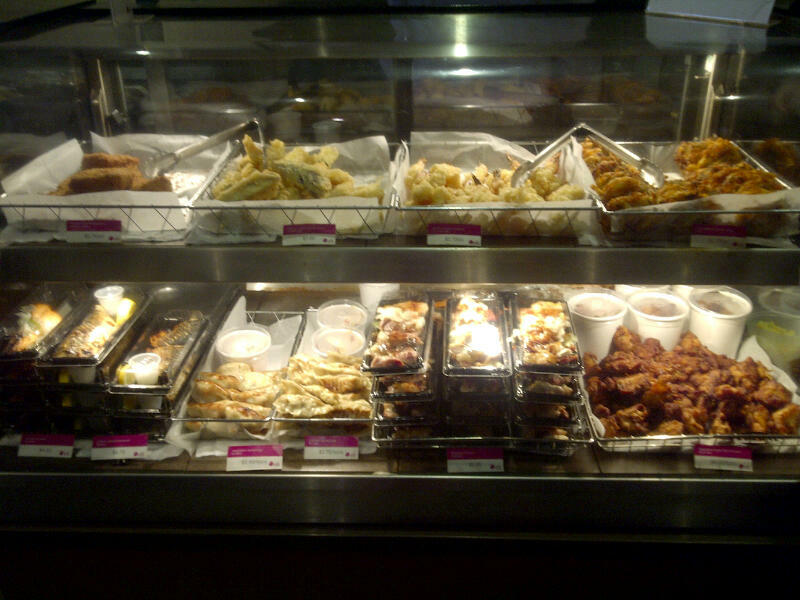 The menu has a variety of brunch and lunch food to choose from - eggs, pancakes, salads, sandwiches, pastas. It was perfect as some of us were craving breakfast food, and others of us were drooling over the pasta. On a quiet Friday night, I decided to have Paula Deen keep me company. A friend recently posted a delicious looking picture of homemade banana pudding so I decided to follow suit and make one of my own. 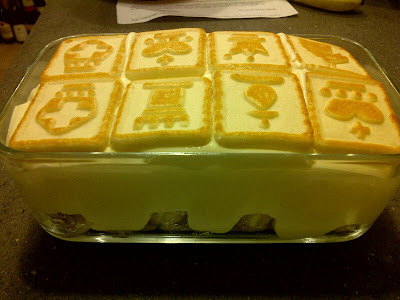 Paula Deen's recipe for Not Yo' Mama's Banana Pudding came highly rated so I gave it a go. Wow! Not only was this easy to make, but it goes down like crack! 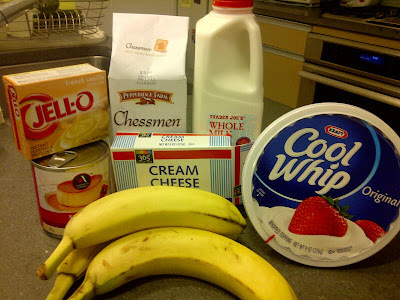 DE-LI-CIOUS and get this - I don't even like bananas! I only had half the cream cheese called for in the recipe at home, so I just cut the whole recipe in half. But next go around, I'm definitely making the full recipe. Its just so tasty! 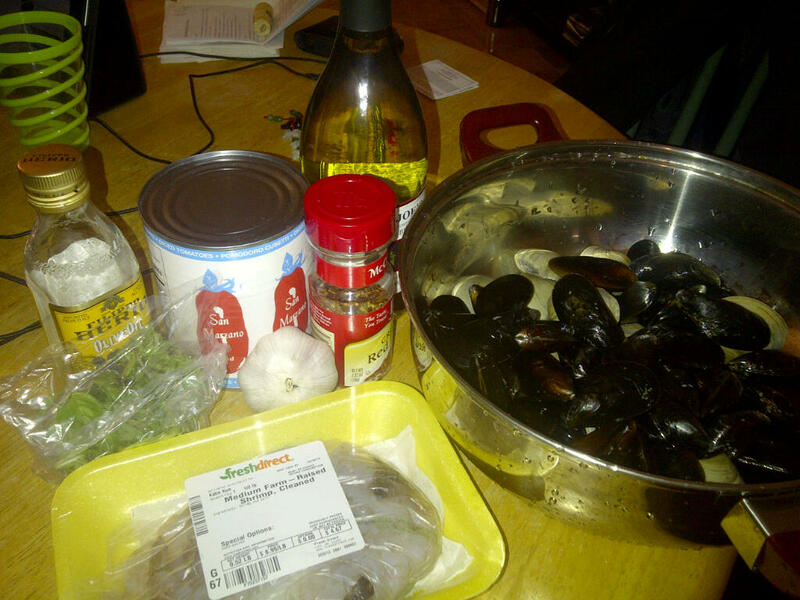 I hope you give this quick and easy recipe a try. kin shop has been on my list of places to try for a long time, probably over two years. It serves contemporary Thai cuisine with really powerful flavors. 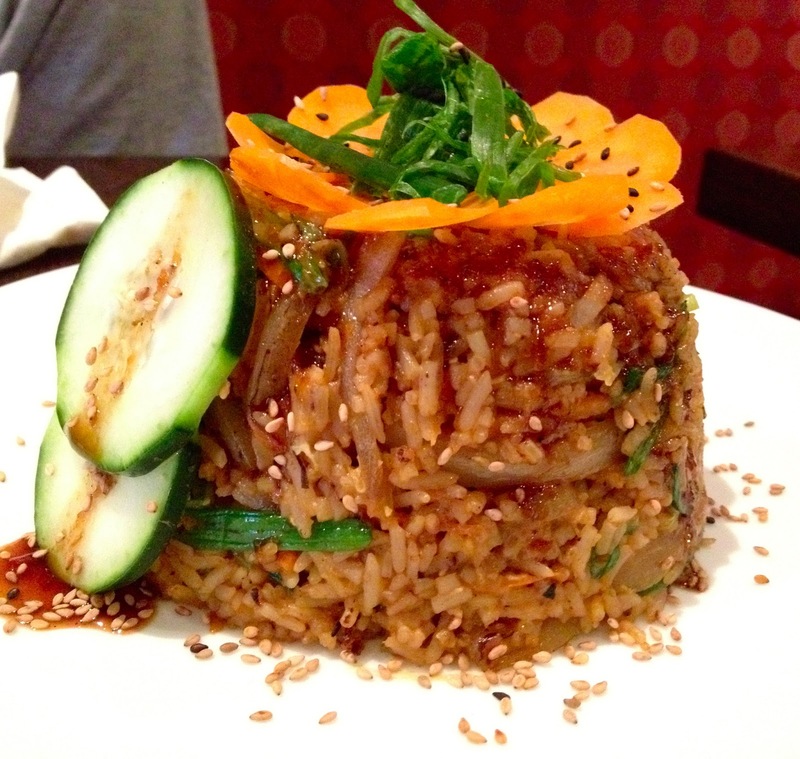 No ordinary Pad Thai here! They definitely pack a lot of heat in their dishes, so be warned that this is not the best choice for the mild spice lovers. Located in Greenwich Village, the decor of the restaurant seemed washed out and dull, which doesn't reflect their vibrant flavors at all. 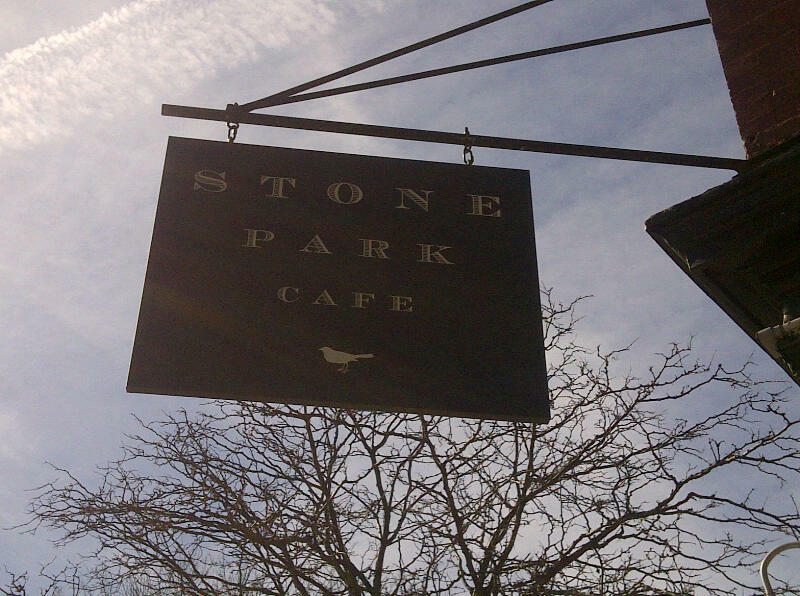 The service was mediocre - nothing glaringly bad, but our waiter seemed a bit grumpy, and at times borderline unfriendly. 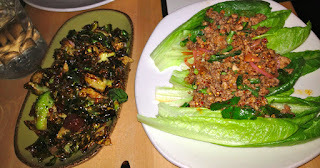 For starters, we had the Spicy Duck Laab Salad and the Fried Brussells Sprouts with Chinese Sausage. 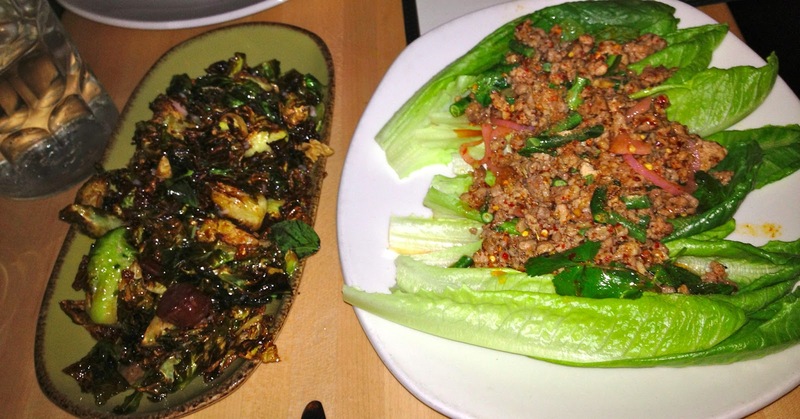 On the menu, the Spicy Duck Laab Salad has with not one, but 3 asterisks next to it denoting its level of spiciness. They're serious about this! It has some serious heat. The first few bites were enjoyable, especially because we love spicy food, but after that our tongues started losing all sense of feeling and soon everything we ate (the brussells sprouts, water, our cocktails, etc.) tasted like the intensely spicy duck. 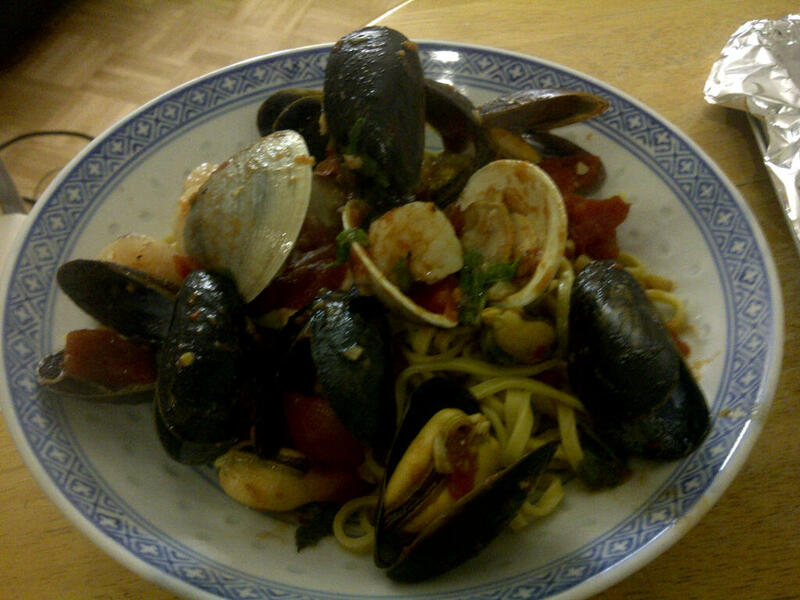 The dish started out great, but it quickly became overwhelming. On a small street deep in Chinatown, there exists a hidden Mexican restaurant called Pulqueria and its sister cocktail bar Apotheke. 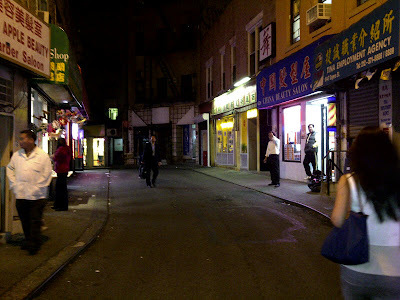 Doyers St in Chinatown - can you find Pulqueria? 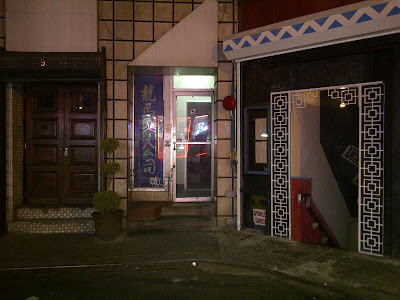 Apotheke is on the left and Pulqueria is on the right! Where Doyers St starts to curve, you'll notice the two entrances above. The wooden one on the left leads to the cocktail bar Apotheke and the blue and white entrance to the right leads down to Pulqueria. The stairway down is also touch sketchy and when you get to the end, you again face a choice of a couple ominous looking doors. Pick the one on your right lol. Some days, the only way to make it through the work day is to stare at my calendar and schedule things that I can look forward to. Usually, that means I make dinner reservations and schedule my friends so that I'm not the only one getting plump. Locande Verde is one of those spots where it usually works in your benefit to make a reservation as early as possible. And so, one of those days at work, I counted 30 days in advance and made my reservation! 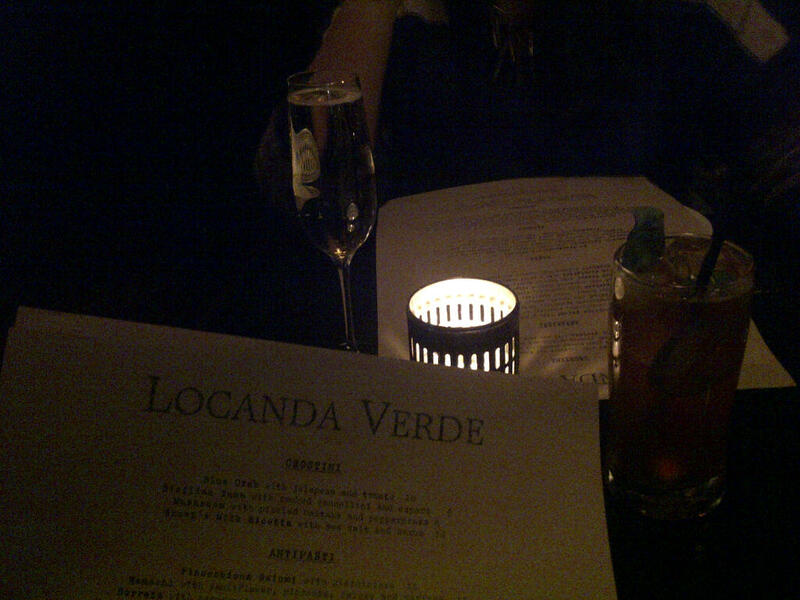 Usually a full house every night, Locande Verde was no different on the Friday evening my friend and I went for dinner. 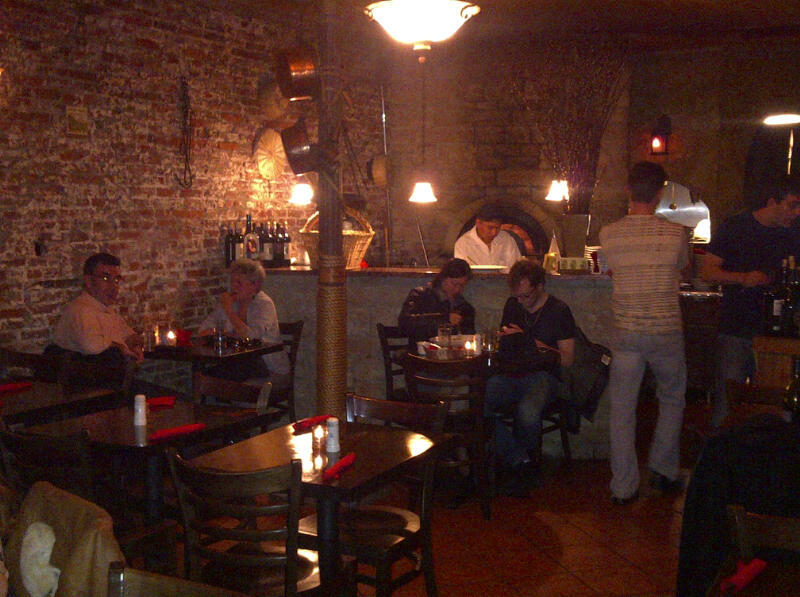 Its a gorgeous space with lots of seating available and a decent bar space for drinks while waiting for your table. In the back, you can look right into the kitchen. Oh how open kitchens seduce me!